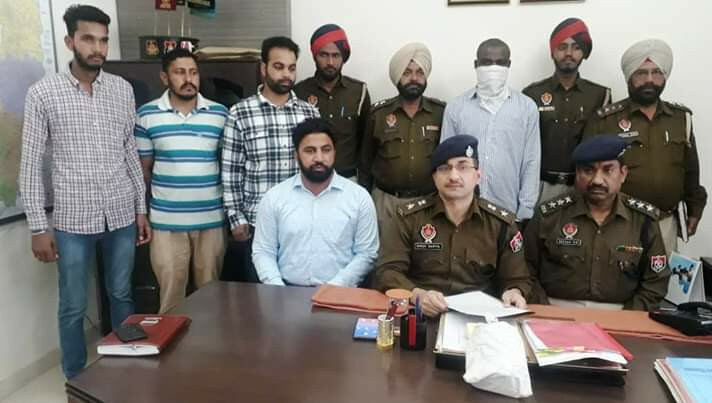 Indian Police in Khanna, on Thursday March 22, has arrested one Nigerian citizen after they recovered 300 gram of heroin from his possession. The accused identified as Emeka, 38, presently at Chatarpura Devri Road in Delhi, worked at a hotel. Khanna SSP Dhruv Dahiya said that as part of police’s special campaign against drug trafficking, a police party was on mobile patrolling from village Bhattian to Samrala Chowk Khanna on Thursday. On reaching Grain Market GT Road in Khanna, the cops saw a foreigner having a black colour bag in his right hand. Police officials said that on suspicion, the police party stopped him and asked about his identity. They added that DSP Khanna was also present on the spot during the checking of the accused. Police said that during checking 300 grams of heroin were recovered from the black bag of the accused. It added that the accused was booked under sections 21/61/85 of NDPS Act at Khanna City One Police station and he was arrested.